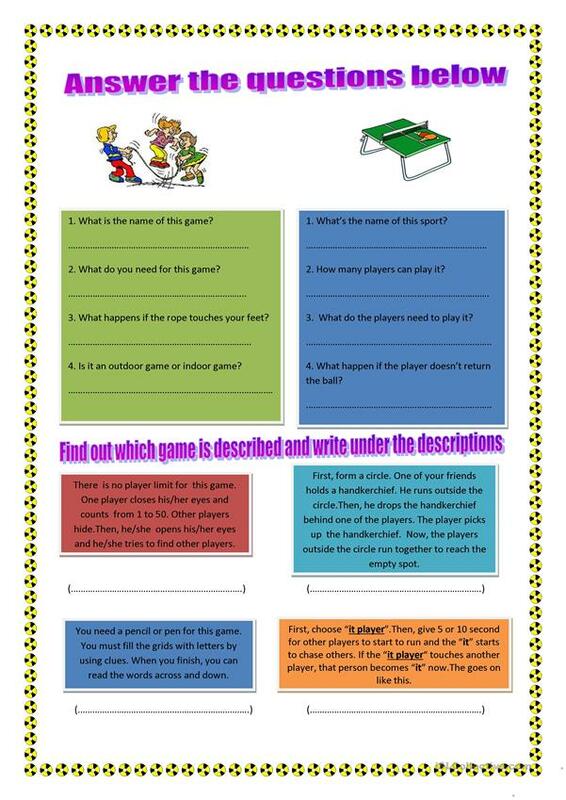 It is worksheet about games. 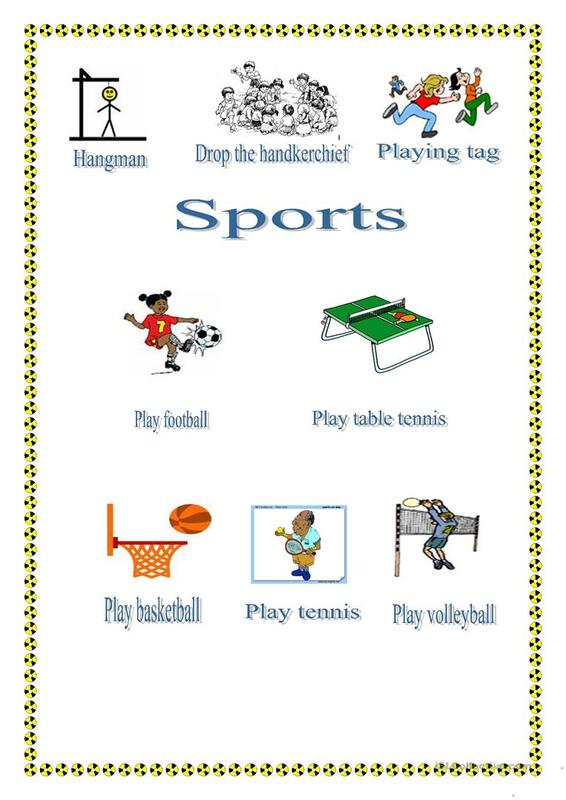 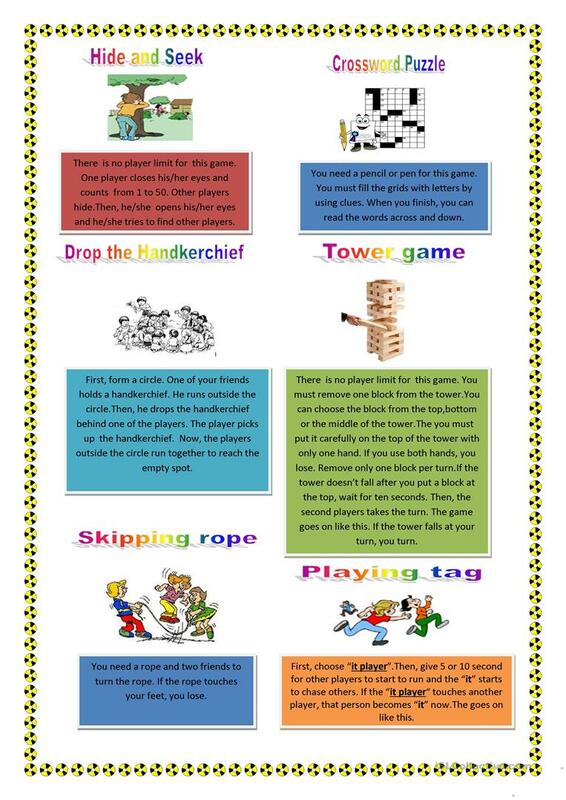 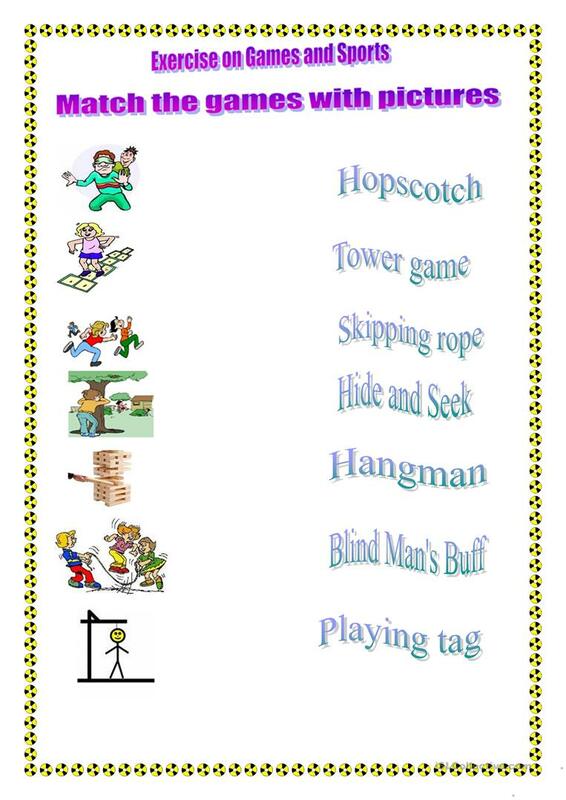 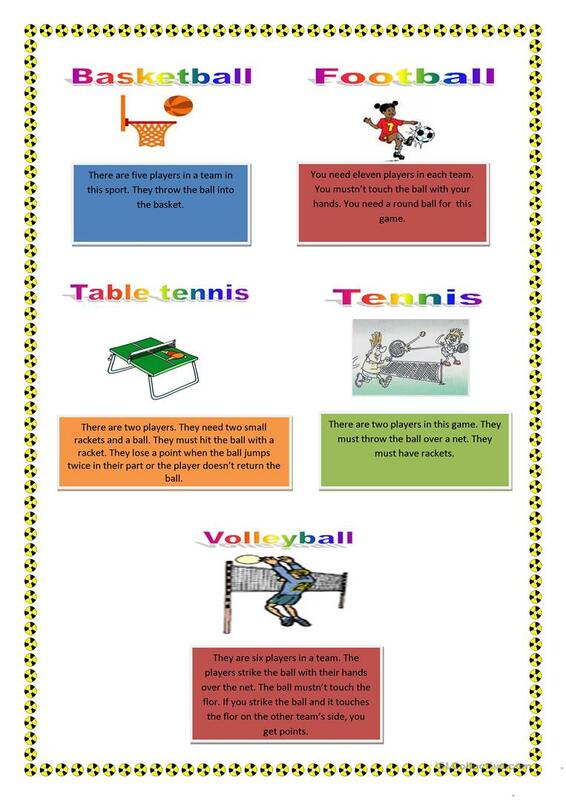 It includes games and sports pictionary, small reading texts and exercises about the topic. 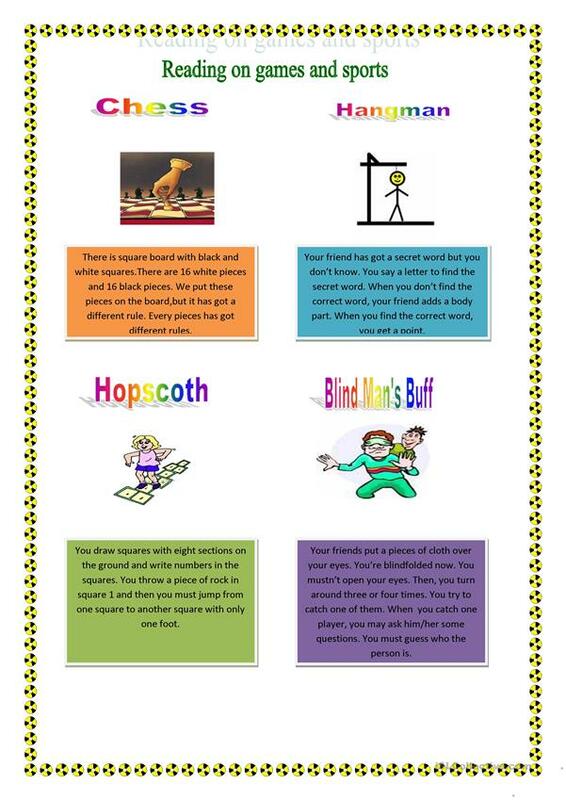 This downloadable worksheet is a great resource for elementary school students at Elementary (A1) and Pre-intermediate (A2) level. 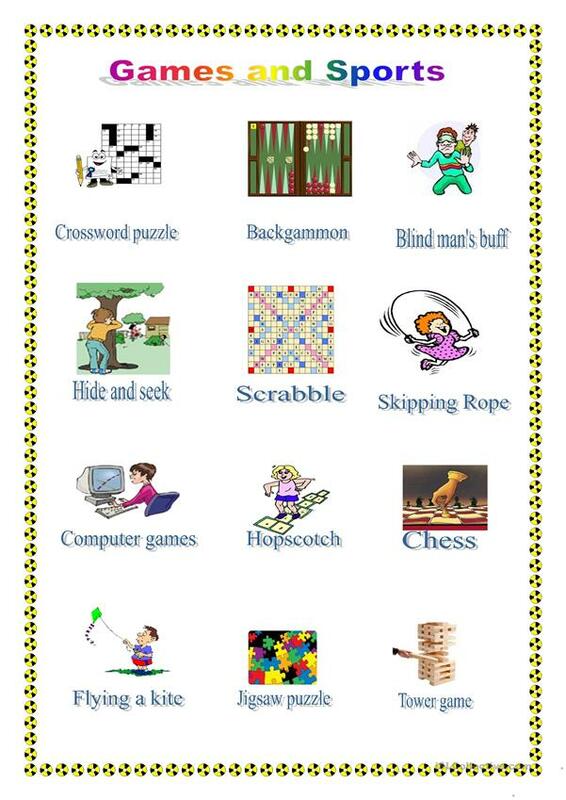 It was designed for developing your class' Reading and Writing skills. 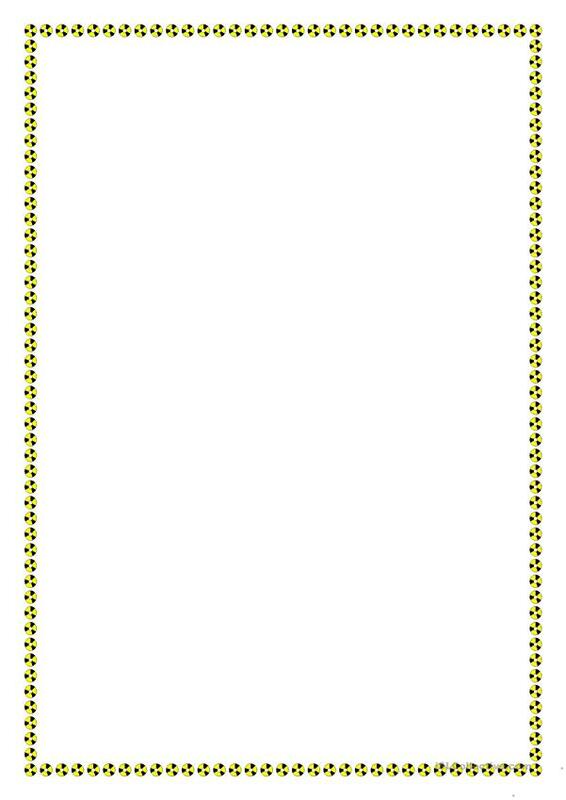 The solutions are provided, too.